After enduring the abomination that is the Jura Seven Wood, we’re faced with the proud flagship of the new armada in the form of the Jura 18 year old. There’s little time to regain our senses. Scurrying for safety after being washed up ashore on a stony beach, licking our wounds after the Jura previous encounter. Then bang another showdown isn’t exactly welcome or timely. We try these whiskies in order to give an honest perspective amidst the choppy high seas of whisky reviewing. Regardless of any wounds or fear, we keep on going regardless and these last 12 months have been a rollercoaster. This isn’t a job or a mission, but a passion and clearly we are not alone. However, we’ve started upon this quest to experience the new range from this most divisive of distilleries on our own terms. Not an invite-only event where the whisky plays second fiddle to the brand ambassador, cuisine or conversation. Jura has our full and undivided attention. After all, it is your hard money that will be spent on a bottle if you feel inclined to act upon any review here at MALT. For that responsibility, a little focus is a small price to pay. Speaking of pricing this Jura will set you back in the region of £75. For our purposes, we purchased a convenient sample to see if a full-sized acquisition was a possible option. For the record, we’ve managed the aforementioned travesty of the Jura Seven Wood and the entry level Jura Journey. 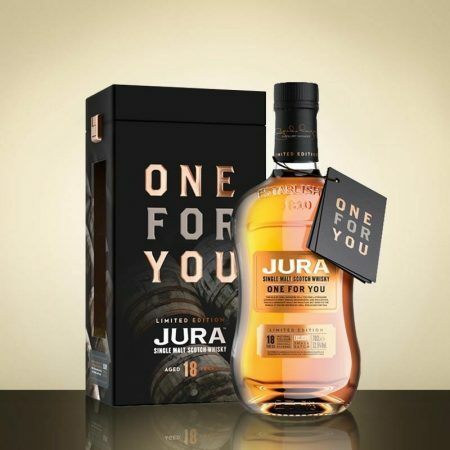 This Jura 18 year old is widely available with Amazon currently asking £68.76, or The Whisky Exchange £73.75 placing this release at the top of the new Jura core range. The whisky itself has resided in ex-bourbon casks for 18 years before a short finish in red wine casks – why? That’s the question. A short finish after this amount of time is never a promising sign in my experience. A brief flourish to differentiate between this release and the previous 18 year old perhaps? The age old problem with Jura is one of legacy. The legacy of bad casks and the legacy of a fundamentally flawed spirit cut. There’s just something wrong at the heart of the whisky and inept casks – Mark would say 3rd of 4th fill here – don’t bring much to the party, which is far from lit let me tell you. If your foundations are flawed then the end result will be a shaky or even a condemnable whisky. Previous Jura’s sell well because they are widely available and at the cheap end of the spectrum for a single malt. Some are inoffensive at best and offer a simple and approachable whisky journey. In poor casks married with a poor spirit, time cannot come to the rescue. Whether it is an 18 or a 30 year Jura, the sense of excellence is always out of grasp. So we return to this new 18 year old that has peacefully waited for its moment in the spotlight. Personally, I do find it insulting and a dramatic warning sign that a whisky has been finished in another cask for a very short period. This underlines the original whisky as it was had issues. A band-aid is required to try and lift up the experience and salvage what’s left. This isn’t a new Jura born of new practices, it comes from the same inventory that has for years had enthusiasts reeling. Expectations are low but maybe this red wine finish of less than a year can transform the beast. On the nose: orange and glue are the initial thoughts alongside a murky aspect. You have to work this whisky to extract individual characteristics, which is a similar problem the Seven Wood harboured. Milk chocolate follows as does a roasted coffee note. Candy floss proves to be a distraction and then there’s the underlying damp wood feature. It is pretty vapid and fleeting. Water brings out a touch of smoke, wine gums and cherries. In the mouth: a burst of sweetness and then we decline into a cold black tea with some noticeable bitterness. More chocolate flavours and adding water just increases this feature with charcoal in tow. You don’t detect the wine cask finish really as an individual feature. There’s that murky sense again with a wholemeal density and a real sense of disappointment. A pretty lacklustre 18 year old by any stretch of the imagination. I can name several similarly aged whiskies for around this price point. Go find a Tasliker 18 or the delightful Inchmurrin 18 year old and really experience a well made whisky that hasn’t been messed with. Our quest continues with only the 10 and 12 year olds escaping our clutches for now. The easiest thing would be to cut our losses, call it quits and sail for home. We don’t quit here, nor do we mind a bit of pain in the pursuit of a good whisky. Both the 10 and 12 editions feature a short sherry finish, which sets off alarms bells, however we’ll find out on the high seas. 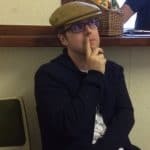 Lead image from The Whisky Exchange and there are a couple of commission links within this review that never influence our opinion. Thanks, Jo-Ann. Maybe the 10 or 12 will be more fruitful. Hi Keith, thanks for dropping by. I believe this is a subpar whisky hence the score but appreciate others may enjoy it. Oh I’m sure Jura are well aware of me over the last few years. The 10 is on my list maybe in the run up to Christmas, we’ll see. Just there are so many releases and only a limited amount money for such purchases.